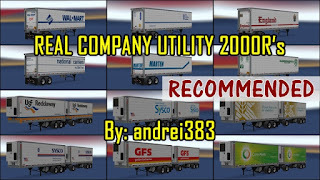 Real Company Utility 2000R's by andrei383. This is an official upload. Disclaimer: I am not responsible for any damage that this modification may cause. This mod is provided on an "as-is" basis and was developed and tested for the 1.6.2.4s version of American Truck Simulator and V1.1 of Smarty's Utility 2000R trailer mod. Please do no re-upload this mod to other sites.  This mod is provided as freeware. If you paid for this mod, demand a refund. You may not modify and reupload this mod without permission. Contact/donation information is below. This mod replaces the default skins of Smarty's fantastic Utility 2000R mod with 15 realistic company trailers. The skins are retro liveries of currently existing trucking companies to better fit with the era of the trailer. Extensive research was done for the mod and the skins include details such as number and warning decals. 1. As Smarty's Utility 2000R models a 40' variant, decal placement may not be exactly the same as the respective 53' variants.